There have been at least two different "National" pencil companies in the United States. The first was short-lived but incredibly fascinating. 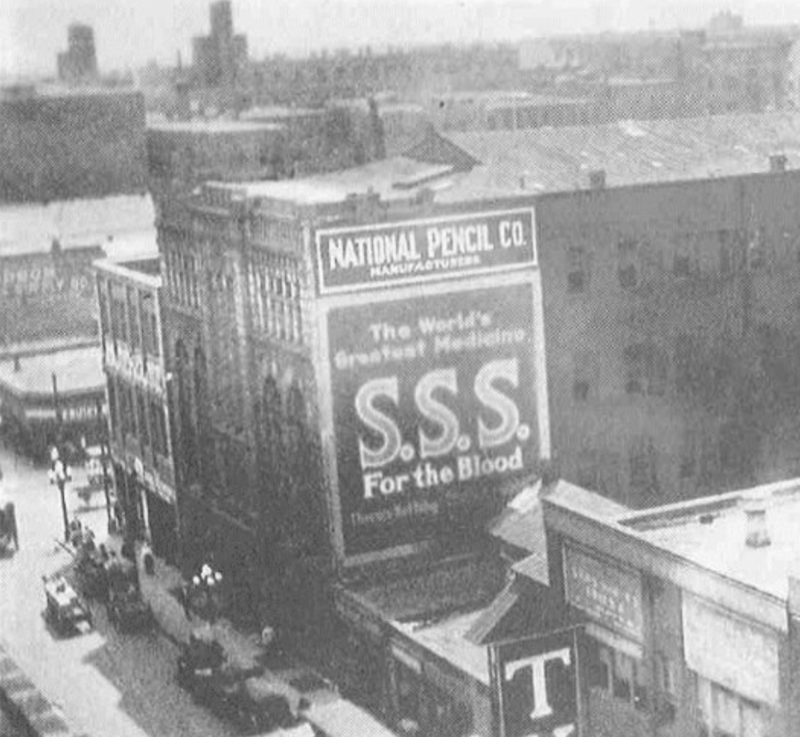 Established in 1908 in Atlanta, Georgia, National Pencil Co. found itself at the center of a high-profile murder case in 1913 that led to the only known Jewish lynching in American history. 29-year-old factory superintendent and Ivy-League educated Leo Frank was arrested and convicted of murdering a 13-year-old female employee named Mary Phagan who worked in the "metal room" where ferrules were attached to pencils. Her body was found in the basement of the factory pictured below. The case was fought vigorously by Frank’s attorneys, and a two-year-long appeals process went all the way to the U.S. Supreme Court. The verdict, however, remained guilty. In 1915, after the Governor of Georgia made the controversial decision to commute Frank's sentence from death by hanging to life in prison, a highly organized group of 28 men, traveling seven hours across the state in eight vehicles, broke into the prison where Frank was being held. They transported Frank back to Phagan’s hometown of Marietta, Georgia, and proceeded to lynch him at a prepared location early that morning. Later that same year, the company put all of its machinery and equipment up for sale.